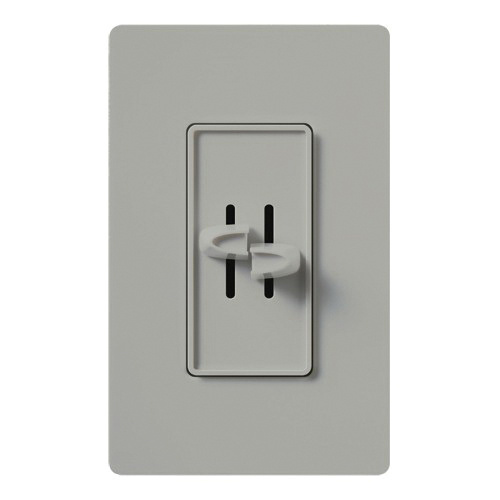 Lutron Skylark® 1-Pole Dual slide-to-off fan/light control in gray color, features gloss finish to match with existing multi-gang decorator wallplates. It has a dimension of 2.94-Inch x 0.3-Inch x 4.69-Inch. 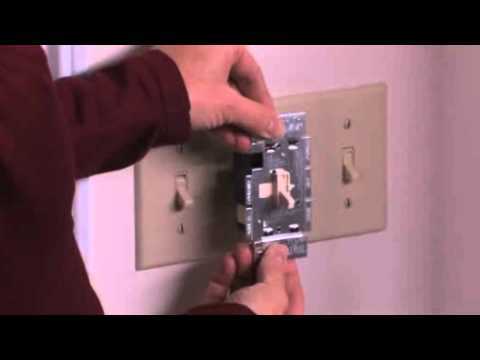 This control has a voltage rating of 120-Volt AC at 60-Hz. Fan withstands maximum load capacity of 1.5-Amps and light supports 300-Watt incandescent/halogen bulb. It offers three quiet fan speeds to prevent motor hum and suitable for use with one ceiling paddle fan. This designer-style control has slide-to-off actuator that slide up to brighten, down to dim. Control is UL listed.